Nintendo really turned things around for the 3DS. For a while, due to a variety of reasons (some out of Nintendo's control), things did not look good for the handheld. Now, there are a bunch of games, and the 3DS is really starting to come into its own. That doesn't mean it's meeting Nintendo's lofty expectations, though! Today, Nintendo slightly revised its forecast for the rest of its business year. The reason? "Sales of the Nintendo 3DS hardware and software were weaker in overseas markets than expected," wrote Nintendo. "In addition, the yen appreciation was beyond the expectation level and the exchange losses totaled 23.2 billion yen." 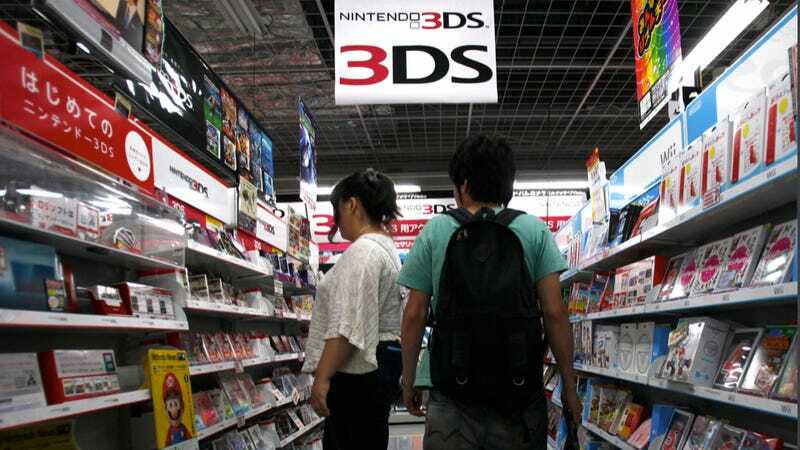 If you are a numbers geek (and really, you should be), you'll be interested to know that Japan purchased two million 3DS units between April and September of this year, double the amount during the same period last year. In comparison, the Americas went from 800,000 units to 1.39 million, and Europe (and other PAL regions, etc) went from 1.19 million to 1.58 million. "Consumers are content to use their smartphones and tablet computers to play games," Makoto Kikuchi, a Tokyo hedge fund analyst, told Bloomberg. "The 3DS is really failing." I dunno about that, Makoto Kikuchi! I do know that considering how big those regions are, the 3DS numbers should be bigger.